Harbor Knoll: Paradise on Peconic Bay! This Year, Have A North Fork Christmas! A Fall field after harvest in Laurel. Many lament Labor Day Weekend as the end of summer, but on the North Fork we rejoice in the start of our spectacular Fall season. Besides our pastoral beauty and pristine beaches, the east end is known for it’s bountiful farms and vineyards, and boy do they shine at harvest time! At the vineyards the fruit is heavy on the vine and you can actually see the sugar-laden liquid as the sun shines through the taught grape skins. They are ready to be plucked and processed into the delectable harvest that most every winery offers, many to the tunes of the music from talented live performers. At the farm stands, an abundant harvest of fruits and vegetables overflow the bins, most of them brought in that day from the fields that are right behind the stands. That alone should be enough to lure anyone, but Fall also begins apple picking, pumpkin picking, leaf-looking, cider pressing and a flurry of fall festivals, from harvest to maritime. And what better way to round out your visit than a stay at any one of the enchanting bed and breakfasts of the North Fork Bed and Breakfast association. Book your stay now at nfbba.org while they still have rooms available for this Fall. 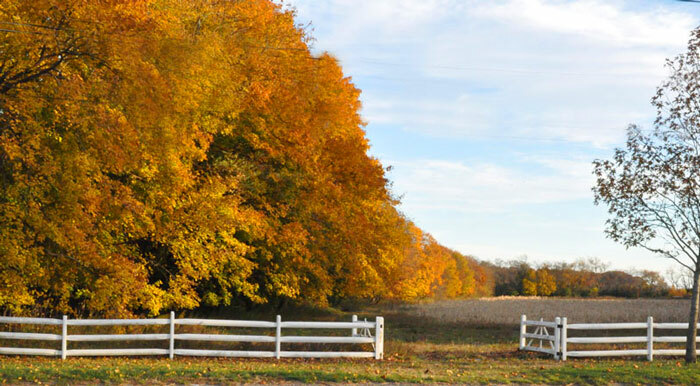 The following is a list of Fall activities on the North Fork, not meant to be comprehensive, but surely enough to whet your appetite and help you plan a fun Fall visit. Be a part of the most comprehensive wine tour in the region, at the first custom winemaking center on the North Fork. Mini viticulture and winemaking tour will be given by owner and winemaker, Anthony Sannino. Tours take place on Saturdays and begin at 1:00 p.m. $25 per person. Reservations are required. Every Saturday and Sunday at 1:30 join Barbara Shinn on a walk through her 20 acre vineyard while she explains the growing cycle of the vine. This is followed by a separate winery tour Both walk and tour $25.00 per p. each. Come celebrate the rich folk arts and agricultural traditions of the community in a true old-fashioned country fair atmosphere. The Festival features family-friendly activities to spend the day enjoying .Admission fees will be collected at the door: Adults $8, children ages 5-12 are $5, children age 4 & under are free; $20 for a group of 2 adults and 2 children. Admission fees support the not-for-profit mission of the museum farm and contribute to the upkeep of 19 historic structures at the museum that date back to 1765! Get your feet wet and grape skin between your toes at our 4th Annual Stomp Party with Time: 1-4pm – Grape Stomping from 2-3pm , $40 for General Admission. Subject to availability, $45 at the door. A complimentary glass of wine included with all tickets. This is a weekend long celebration of theEast End’s nautical history. For the past 25 years, the East End Seaport Museum and Marine Foundation has celebrated the nautical history of the east end of Long Island. Last year over 40,000 guests enjoyed this celebration in the historic Village of Greenport. The Festival begins on Friday night with the Land and Sea Gala cocktail party. Saturday morning’s parade through downtown Greenport kicks off the Festival. It’s followed by the Ye Pyrate Brotherhood show, grand displays of classic wooden boats, kayak races, demonstrations of high tech water sports, wood carving and model ship building, music, delicious food, high end artisanal vendors, children’s activities, fresh oysters, craft beers and local wines. The evening brings music and dancing in Mitchell Park and screenings of original movies. Sunday morning there is a children’s breakfast shared with mermaids and pirates, more family friendly activities throughout the village, old fashioned games on the Green, snapper contests, and a sunset sail to Bug Light.=The Maritime Festival is the largest fundraiser of the East End Seaport Museum with the monies raised enabling us to continue offering a variety of educational programs to all. To this end, we thank you, our visitors. And a special thanks to our generous sponsors and donors.Admission is Free however fees may apply to some activities.